Tony Casagrande, from Pataskala, Ohio, was fortunate to draw a fall Unimak tag. 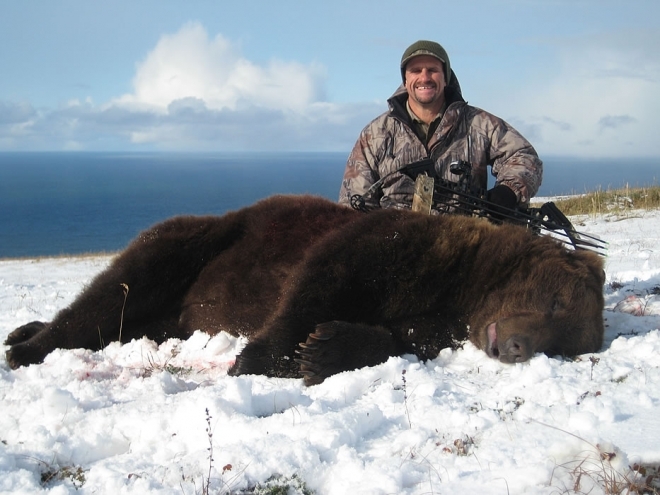 Tony hunted the north side of the Island and harvested this big bear on a bluff above the beach. There was a whale carcass washed up on the beach in which numerous bears were feeding on. This prevented the perfect opportunity for Tony to take his bear with a bow.